The kitchen is incomplete without beautiful cabinets. Not only do they lend to visual appeal, they have functionality on top of the list as well. Depending on the décor, size and how much you use the kitchen, you can select a cabinet that will suit your needs. Nice kitchen base cabinets lend a whole lot of appeal when you are looking out for buyers for your house as well. Kitchen base cabinets come in all shapes and sizes and you can buy one and completely transform your kitchen. 1. The first step in installing the kitchen base cabinet is to get the studs right. The studs will anchor the cabinet and hence they are extremely important. Once you have the first stud in place, the next one should be 16 inches away. 16 inches is usually the measurement used in most kitchen base cabinets (however, it is worth rechecking for your cabinets). You must then mark both the edges of the stud. 2. To install the kitchen base cabinet, you must check if your floor is level. This is because if the floor is not level, all the cabinets will not be in line and the slab on top either won’t fit or would be uneven. If the floor is not level, check for the highest point on the floor. From there measure up to 34 or 35 inches, depending on how high the kitchen base cabinet is. Then create a line along the top using a carpenter’s level. 3. Install the first section in the corner and raise it to the reference points using wooden shims. 4. Using 2 and a half inch screws, secure the kitchen base cabinet from the back ledger into the studs marked. 5. Cut off any protruding shims using a utility knife. 6. Put the next cabinet in place, ensure that it is at the right level and screw it on with the adjacent cabinet using long screws. 7. Install the cabinet doors and pulls after the cabinet is in place. The base kitchen cabinets are usually between 34 to 35 inches and in most cases they are 34.5 inches in height. The depth of these cabinets are 24 inches, giving you ample space to store everything as well as being able to reach all the way as well. The width of kitchen base cabinets starts off at 6 inches and increases 3 inches as you move to a bigger size. The maximum size is usually 48 inches. However, the kitchen base cabinets are available in various other dimensions and you can even get them custom made if required. So, you must check your kitchen and figure out the kitchen base cabinet dimensions that will be best suited for your needs. The kitchen base cabinet is usually made of 5/8 inch melamine coated particle board. Most cabinet makers find this material most suited despite its drawbacks. Kitchen base cabinets are built on two sides – back and bottom. The upper cabinets always have a bottom, top and two gable ends. The kitchen base cabinets do not need a top because the countertop will serve the purpose. Once you have decided on the material and you have got the initial structure done, you have to look into making the cabinet doors. For this you must calculate the door size. There are a few things to keep in mind while doing this. You must decide on the door hinges you want to use and look at what type of cabinet you have built. The door measurements will depend on whether it is a European frameless or a North American face frame. The price of kitchen base cabinets vary to a large extent depending on – the material used, the size, functionality and quality. You can get an average functional kitchen base cabinet for a very reasonable price or you could buy an already used one in good condition. Every kitchen is different and so are the needs of every home. 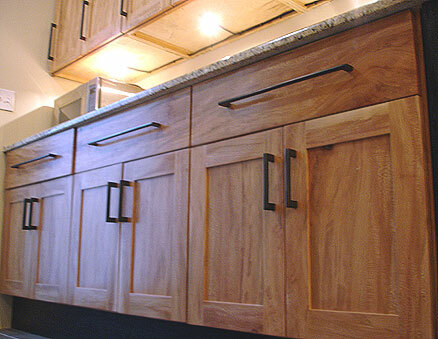 Selecting an appropriate kitchen base cabinet can give a real face-lift to any cooking space. Do you have a suggestion or comment about kitchen base cabinets? Please share your thoughts with us by filling in the comment form at the bottom of the page. This is the right blog for anyone who wants to find out a great amount of high-quality information about the kitchen — the heart of our homes. Great info and instruction for base cabinets. I couldn’t agree more with the “face-lift” comment in regards to making a kitchen have more appeal. The kitchen should be a place you enjoy spending time in! Thank you, Ganka! I really like your kitchen blog because it is so original. Your instructions are simple and easy to follow, no one can’t go wrong with these! It is also important that the base cabinets be made with the sturdiest material possible, I know most of our kids like to sit on them from time to time.